CAREWARE-ERP: Sage 300 ERP for the Project & Construction Businesses. 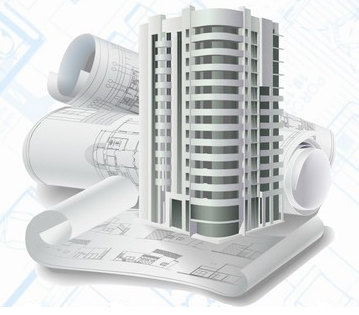 Sage 300 ERP for the Project & Construction Businesses. 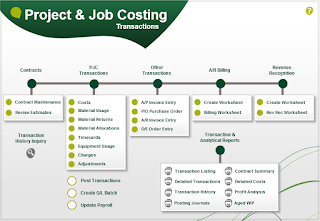 Sage 300 Project is a tested and proven solutions is now in the latest version of Project Job Cost v. 2017, which caters for Engineering Services and Project Consulting companies across disciplines, namely, electrical, mechanical, electronics, construction, architectural and those addressing infrastructure. These companies execute projects wherein tracking ‘project budget’ and ‘actuals’ for materials, labour, revenue and other expenses is essential. Companies in this business segment execute a wide range of projects across industry verticals, which make it important for them to adopt best practices. Careware helps you to control & meet your tightest deadlines and standards. Careware believes in adding value to its customers and will continue taking a ‘solutions approach’ to address the needs of this segment. We already have a number of customers in the region using Sage 300 ERP with our Project and Job costing solution to produce timely project accounting reports. This is a unique offering from Sage and differentiates us in the marketplace for small and medium businesses. When you manage revenue and costs for project-based business, you cannot afford to let a job get in the red because of missing information or late-breaking, unrecorded changes, holding cost resulting from theft, and overstocking of raw material. On the other hand, you also cannot afford to spend every second of your time entering and updating data, chasing a constantly moving target. Control the level of details to which costs are tracked. Automatically allocate indirect costs, employee benefits & recognize revenue. Manage subcontracts, job costing, profit analysis, and variance tracking. Monitor and manage billing; collection and cost overrun.  Inventory and Job Allocation. Contact CAREWARE’s today. To learn all about Sage 300 Project ERP Solutions contact CAREWARE Account Manager today by calling (03) 27143855 or by emailing sales@careware.com.my There are multiple licensing options; one is sure to be a perfect fit for your company. Running a successful construction and engineering business can be challenging. An integrated system is mandatory. Many Project job costing software are basically a bolt-on or stand-alone software with awkward integration with accounting. Sage 300 Project is a tested & proven system since its Accpac DOS Days. So you have a failed ERP implementation!